That proto synthesiser bit in Julian’s intro was spot on. If you want a comparison, think the United States Of America (the band that is, and if they don’t mean a lot, check out the Footnotes) with an added element of guitar and bass. But the USA always seemed rather upmarket and intellectual compared to your average band while Fifty Foot Hose had both an endearing amateurish approach coupled with a need to earn a buck which was probably why Cope used the garage band description. I hasten to add that the music produced by the Hose didn’t give that impression at all, anything but; it was subsequent write-ups that gave you those ideas. A few facts before we dive into the music: the band was founded by second generation Italian immigrant, Louis “Cork” Marcheschi (bass and increasingly, electronics) and David Blossom (guitar) in San Francisco circa ’66 (dates are often absent from write-ups). Other members included David’s then wife Nancy on vocals, Larry Evans (guitar) and Kim Kimsey (drums). That was the combination for the album Cauldron released in December 1967 on Limelight Records, a subsidiary of Mercury. The label was primarily known for jazz but had also been moving into what I guess one might term, ‘serious experimental music’. The Hose were their first rock signing. While in no way dismissing the contribution of other members, particularly David Blossom, Marcheschi was the band’s differentiator, or USP to drop into business speak. While he’d had a solid grounding working the San Fran clubs, playing in R&B bands from his teens onwards, he also had a very exploratory mind set as far as music was concerned. He was into electronic music well before it became fashionable. To quote the man himself, “I had owned Poème électronique since 1962 – this was my introduction” (source: Interview with Cork Marcheschi in It’s Psychedelic Baby, 2012). Not content with merely listening to such music, Marcheschi had begged, borrowed or stolen a whole host of odds and sods (which included a “12-inch all plastic, all-weather speaker which Dave’s dad had removed from a WW2 navy vessel”) which enabled him to replicate some of those sounds he was hearing. Or, to put it another way, he’d made his own prototype synthesizer. Enough waffle. Some music is well overdue. If Not This Time was the track that convinced me that Fifty Foot Hose were a force to be reckoned with. Cork Marcheschi has stated that it was one of his favourite tracks and informed the world that it was influenced by Schoenberg’s 12 tone scale. More facts: the album was called Cauldron after the name of one of the numbers. In its original Limelight incarnation it contained 11 tracks. The Big Beat subsidiary of Ace Records UK re-released the album with 7 extra tracks in 1996. Those extras included both sides of a single entitled Bad Trip/Skins, released by a Cork Marcheschi led band, Ethix (but sometimes referred to The Ethix) in 1966. The other tracks all came from the demo Fifty Foot Hose submitted to Limelight and all but two were alternatives/early versions of other tracks in the set. The Big Beat/Ace album is available on Spotify. The tracks varied from near inaccessible to ones that won’t sound too alien to today’s ears – I’d classify If Not This Time as being in the latter grouping. But the ‘number’ – you certainly couldn’t call it a song – that was furthest out there, sat right at the start. Wouldn’t you like to bet that Cork insisted on this positioning. In 2012 he proffered the following words about the track (which was titled And After). … and if you let that clip run on it’ll segue nicely into If Not This Time. Tracks 3, 5 and 7 are little more than synthesiser sketches, in length no more than 30 seconds each. They’re the sort of thing we’re used to on albums these days. I think I first came across such things on Calexico’s breakthrough album Black Light (1998) but I’ve encountered them elsewhere since. And, bear in mind, this was 1967 where such tracks could well have seemed revolutionary. Track #9, Fantasy, goes off in the opposite direction in elapsed time; it weighs in at a hefty 10:14. That length plus the mix of synth and guitar strongly suggest that we’re in for an instrumental jam of the kind favoured by groups like the Dead or Quicksilver (but with one of the most effective earliest recordings of the type, East-West, recorded by the Paul Butterfield Blues Band on the album of that name). It is instrumental (or at least appears so initially) but arranged in a number of components, so, a carefully planned suite rather than free flowing jam. Nancy appears at roughly 6:20, and that might even be a tune she’s singing. A variety of moods are evoked and, while the angrier ones are nearer the end than the start, there’s none of the building towards one or more climaxes that you often get in long rock numbers. Fantasy is unusual in the annals of such efforts, in that interest is maintained rather than fizzling away as is so often the case (that’s a subjective statement from me of course; everyone’s taste is different). Rose, however, is a jam, albeit with vocal rather than purely instrumental. A two chord vamp is the usual terminology but they’re nice jazzy chords and the whole thing flows delightfully. Nancy breaks into a sensual whisper part way through but not a lot more than partial phrases or single words register with the listener, such is the vocal/instrumental mix. For today’s generation, Red The Sign Post might just be the most approachable track in the set. Aspects of acid rock, metal and even grunge swirl around – fuzz guitar setting the pace with a thundering descending riff – plenty of distort – thrashing drums, and Marcheschi has set his synth to howling gale mode. Nancy spits out the lines, some of which are, as usual, unintelligible. God Bless The Child is the Billie Holiday song. Nancy gives it an absolutely straight and, indeed, beautiful reading – thankfully you can hear the words here – to the accompaniment largely of David’s acoustic guitar. But that’s not all. Cork’s all over it. For me this works but I suspect there’ll be some who see this differently. I’ve saved the most intriguing ‘song’ till last. Cauldron might be the best track in the set. It might be the worst. It pushes listeners to extremes and some might call it a vision of hell. Lots of odd brittle percussive noises – ominous bass – varying rhythm – fragments of melody – heavily treated vocal and sometimes two Nancies – “selfish sorrow” – background screaming as if torture is being carried out – “hearing sounds of death” – and that background gradually takes over encouraged by ever more dissonant noises from Cork’s electronic orchestra. So what’s left? The single Bad Trip is three minutes plus of thrashing, shouting, feedback, the lot, though again, not so alien to today’s ears. Reportedly – I read it in the album review from Trouser Press – “the group recorded themselves live for two-and-a-half minutes with each member (one of whose responsibilities was to scream through a sea of effects) in a separate room of a house”. There’s an alternate take on the album as well, since a version was included in the demos, so, if you like it, you get two of ‘em, and since the sounds that make it up are random, that could even be two songs! One of the demos, Fly Free, is a jazz folky thing with no sign of electronics anywhere. Slightly reminds me of the Jefferson Airplane version of the Donovan song, Fat Angel. Don packed the song with druggy references and it’s entirely possible that his 1966 original might have been heard by Cork and co (though I suspect the choice might have come from Nancy or David). I should add that the Airplane’s Fat Angel didn’t come out till ’69 so they wouldn’t have heard that. So, what happened next? The record didn’t sell a lot but that was probably down to lack of plugging. Mercury/Limelight weren’t used to this sort of thing. The group continued gigging for the next year or so but broke up in 1969 when the Blossoms joined the musical Hair. Marcheschi went back to school/college and studied art. He subsequently pursued a successful career in sculpture (see Footnotes). But over the years, interest in the Hose didn’t quite disappear, and some recognition started to emerge of the band’s pioneering role in both experimental and electronic music, particularly the latter. In 1995, after persistent pressure, Cork reformed the band but with totally new members other than himself. Two albums were released – … Live… And Unreleased and Sing Like Scaffold – with the second (fairly obviously) being the studio one of the pair. The live set was recorded at The Bottom Of The Hill, San Francisco in August ’95. Somehow I find myself lacking in enthusiasm to follow these releases up. I listened to samples from Sing Like Scaffold (they’re on AllMusic) but there was nothing that made me jump up with a burning desire to explore further. There is one track only from this pair of albums on YouTube, which leads me to believe that the record company have put a stop on uploading tracks from them – the one that is there, is misleadingly, and one assumes, unintentionally, attributed to Cauldron not Sing Like Scaffold. For completeness I should mention one other album. It’s called Ingredients and consists of the complete suite of numbers that comprised the demo tape submitted to Limelight, seven in all, of which three don’t sit on Cauldron. The ‘new’ ones, War Is Over, Good Morning Girl and Low Down Nasty don’t add a lot to our knowledge of the group but do air some of their blues roots. Do I really want to delve into the long term significance of the Hose. Frankly no, I’ll let the reader enjoy unravelling those threads up to today. I’m just happy to have found this music. 1. At one stage I had it in my mind to open this article with a definition and discussion on psych music but the reader will be pleased to know that discretion or plain ordinary common sense, intervened. However I’ll still make a couple or so remarks, which are, of course, skippable. I’ve seen essays on psych over the years and refreshed myself this time by perusing Wiki’s lengthy, and undoubtedly well intended, effort. They start off well by talking about the states of mind that psychedelic drugs, particularly LSD are known to induce, using big but at least semi-meaningful words like dechronicisation, depersonalisation and dynamization, each of which they discuss. They go on to define psych music – if I was following properly – as that which relates to the psych experience in various ways e.g. by attempting to simulate that experience aurally or by usage of lyrics which draw on psych terminology, but those aren’t necessarily all the possibilities. That’s an extreme simplification. They touch on ‘mind broadening’ (my term) using the example of the music created by Brian Wilson after usage of psych drugs. They also list common features that can be found in such music e.g. use of instruments from other musical cultures, electronics, lyrical whimsy (a peculiarly British strain), long jams, guitar distortion and feedback, and much, much more. 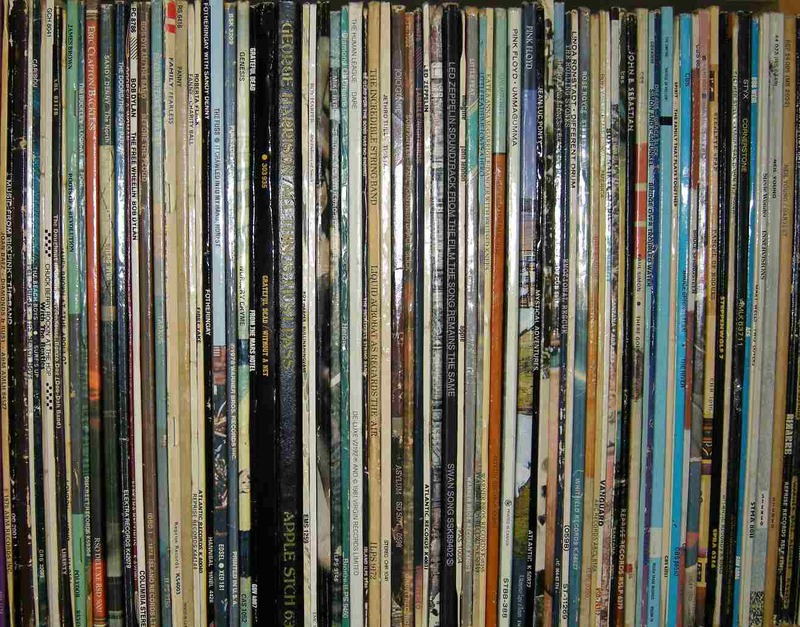 What Wiki don’t do is talk about how the introduction of such music altered the entire vocabulary of the pop music scene, in effect creating an environment where experimental music of any kind, whether related to the psych experience or not, tended to get listened to more sympathetically. This increased latitude also effected music that most people would never dream of calling psych. Would the Beatles have put the delightful but old-fashioned sounding, When I’m Sixty-Four on their first album, or would they even have been allowed to, even though the song was available at the time? That was rhetorical. You know the answer is no. There were no such qualms when Sgt Pepper hove into view. Attitudes had changed. Cork Marcheschi has been reported as saying, “David and I were never into drugs” (It’s Psychedelic Baby, 2012 Interview). He may be an exception but I suspect there were others for whom the same remark applies. Perhaps in the case of the Hose, their music could be seen as indirectly related to the psychedelic experience in that they might not even have got themselves on record had it not been for other ‘psych’ bands demonstrating that such music could sell. Secondly – and I’ll call a halt after this one – there are just too many bands who get the psych label stuck around their neck(s). Wiki has a particular thing about keyboards led sixties bands so Procol Harum get thrown in. Moby Grape often do as well, largely because they were in San Fran at the right time. They did make ‘advanced’ music in that it wasn’t unusual to hear strains of country, rock and maybe even Motown in the same number, but that wasn’t necessarily to do with anything psych; this could be put down to the evolution of rock music in general, in part driven by the Beatles who were already revolutionary even before they turned on. 2. The band, The Great Society was formed by Grace Slick, her then husband Jerry, and brother Darby in 1965 in the San Francisco Bay Area. There were various other members during the group’s brief existence but those present on their sole album Conspicuous Only In Its Absence were David Milner on guitar and Peter Vandergelder (bass, flute and sax). 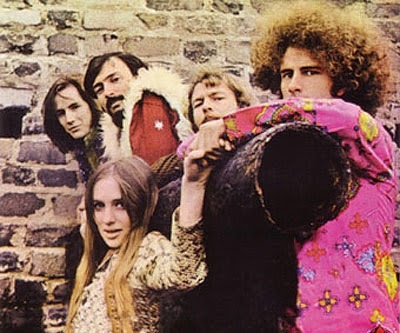 That album contained the original versions of White Rabbit and Somebody To Love, which were to reappear with Grace on vocal on Jefferson Airplane’s Surrealistic Pillow. 3. The band with the magnificent name of The United States Of America was formed by composer Joe Byrd and lyricist and singer, Dorothy Moskowitz, plus three other musicians in Los Angeles in 1967. Both Byrd and Moskowitz came from backgrounds in ‘serious’ experimental music, academia and musical theatre rather than the usual musical stamping ground of R&B and garage rock. The band featured synthesisers and other electronic instruments strongly, and were highly unusual for an outfit touted as a rock band in that they had no guitarist. For more on them and their one album I recommend you read the excellent Toppermost from Rob Morgan. 4. I don’t know if it was a thing with psych bands but they often seemed to have a dominant member who usually called the shots but wasn’t necessarily the vocalist: The Elevators/Roky, The Dead/Garcia, The USA (as above)/Joe Byrd, The Floyd/Syd (they became a relatively ordinary prog outfit without him), The West Coast Pop Art Experimental Band/Bob Markley and of course the Hose and Cork. 8. The label that released the Bad Trip single was Mary Jane (Sounds of San Francisco). 9. I googled the Butterfield Blues Band in order to check whether there was a comma in East-West (as you’ll see there wasn’t, but there was a hyphen). What I didn’t expect to see was an entire subsection in the Wiki entry entitled “East-West” track in music history. It quotes from liner notes to the album written by the music journo Dave Marsh, in which he talks about the number’s origins in an LSD trip taken by Mike Bloomfield, the song’s principal composer. “In his summation, Marsh points out that “‘East-West’ can be heard as part of what sparked the West Coast’s rock revolution, in which such song structures with extended improvisatory passages became commonplace.”” (Wiki on Paul Butterfield). I was slightly surprised to find that more illustrious minds than mine had come to this conclusion without any prompting from me. But, hey ho, this was only a digression anyway. 11. Red The Sign Post and Fantasy were used in the Billy Bob Thornton directed film Jayne Mansfield’s Car in 2012. 12. 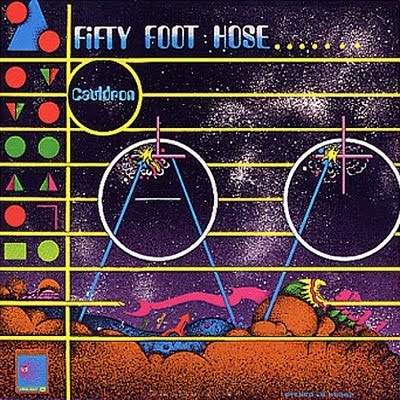 Although the group Silver Apples don’t get a name check in the text I thought a few words here wouldn’t go amiss because they do get mentioned in comparisons to Fifty Foot Hose and, in their initial incarnation, were around at broadly the same time as the Hose. The group started as a four piece in New York named the Overland Stage Electric Band but dropped to two – Simeon (full name Simeon Oliver Coxe III) on early home-made synth, and Danny Taylor on drums. The pair renamed themselves Silver Apples. Their basic vocabulary of bleeps etc. with a regular driving beat was a more direct precursor to Krautrock and British groups utilising electronics than either the Hose or The United States Of America. 13. David Blossom managed a recording studio for several years after the Hose experience. His studio recorded a number of punk records. They also recorded an album from Michael Bloomfield entitled If You Love These Blues, Play ‘Em How You Feel. 14. I’ve only hinted at some of the abilities and interests of Cork Marcheschi. To give you another example, in 1984 he produced a film on blues music and musicians entitled Survivors: The Blues Today featuring live performances and interviews with artists then performing. This is his website though I’d warn that it appears to be in a state of transition in that some of the links don’t go anywhere.